From the second half of the eighteenth century onwards a knowledge of grammar served as an important marker of class in England. In order to enable their children to rise in society, middle-class parents expected their sons and daughters to learn English grammar. Since England did not have an Academy which would produce an authoritative grammar, many individuals took it upon themselves to compose grammars, and the Baptist minister John Ash (1724?–1779) was one of them. 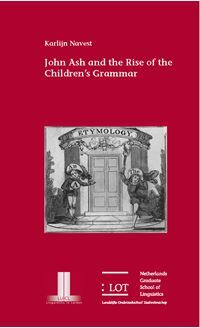 eighteenth- and nineteenth-century grammar-writing, as well as to book historians and historians of education and children’s literature.